water and does what she likes most: to have stories read to her. But one day, suspicious nodes appear on her body. As the doctors have a diagnosis, it is already too late: Sophie is suffering from terminal cancer and only has a few weeks to live. 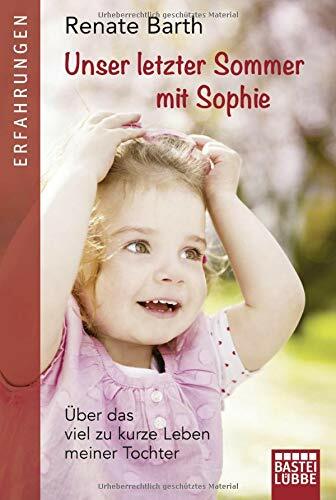 As do all children, Sophie believes her parents are almighty and will protect her, no matter what happens. But there’s no remedy for cancer. It is not until years later that Renate is able to interpret the signs of reconciliation Sophie had given her during her last days on earth. The touching story of a mother who regains faith in life after having the most valuable thing in her life taken from her.